We couldn’t have asked for a better, more considerate itinerary than what Matteo offered us for an authentic Tuscan experience. 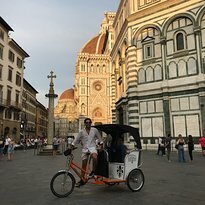 Whether it is wine tasting, wine touring, private transfer assistance, hot springs, shopping, specific tours to cities, or truly authentic lodging in the beautiful Tuscany landscape — Matteo can make your dreams a reality. Very communicative, responsive and thorough in the planning of your trip so it meets your preference. WHEN we make it back to Tuscany, I will certainly use Matteo once again. Thanks again for making our honeymoon one to remember and one that we will cherish in memory! I look forward to seeing you again for another Authentic Tuscany Experience. All the best and Congrats again for your wedding! 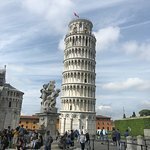 My daughter and I recently did this amazing 3 day fully escorted tour around Tuscany, visiting wineries on each day but in three different regions of Tuscany (a surprise to us as we thought Tuscany was one region and that wines would all be similar). We also had a interest in authentic Italian food, and other land-based industries in the region. We asked many questions and were given very comprehensive answers. Matteo (our guide) took the trouble to add two other visits to our itinerary following our questions about beef cattle and beaches. He added a visit to a beef cattle farm one day and the following day took us to the beach. A highlight of our trip was the unexpected opportunity to have dinner near our farmhouse accommodation with the local community at their Zolfino Bean Festival. We became Italians for the night, casually sharing an authentic meal outdoors in a marquee, using plastic plates and cups and being waited on by members of the community who also cooked the meal for us and about 200 others. Tremendous fun and an experience we will never forget. We highly recommend Tuscany Untouched Tours and this wine tour to anyone wanting to see the Tuscany where few tourists venture. The itinerary was varied, the wine tastings comprehensive and detailed, food experiences met our expectations and the farmhouse accommodation excellent. Thanks Matteo – you added a personal touch to our tour, obviously love your native country/region and bent over backwards to make sure we had a great time. PS – if you book a tour – ask Matteo to show you how to make real Garlic Bread! Thank you very much for you beautiful feedback... I really appreciated it! Thank you also for your extraordinary company. We actually had a such great time...I am glad you liked the tour! Tuscany in early December is captivating and we find ourselves being driven through a countryside of many different shades of green and the trees are still wearing their orange and red autumn leaves. We reach our accommodation at the charming and historic 500 year old stone Tuscan Villa Il Crocicchio, set in a beautiful rural setting of ancient olive groves and winter vineyards and owned by a delightful and friendly family who made us so very welcome. 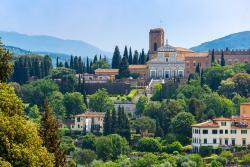 For the length of our stay we are driven safely through the spellbinding scenery of Tuscany by our charming young tour guide "Oscar" as he takes us to visit many of the hidden gems of the region, while lavishing attention on us and taking special care of us. We have seen the remains of paintings, artifacts and structures from the time of the Etruscans, we have climbed famous towers of majestic castles to see outstanding panoramic views over the picturesque villages, the rolling countryside and far away snow covered mountains. We have walked along the cobblestones of tiny narrow streets, through the stunning historical medieval villages with their magnificent stone walls and enchanting buildings as we listened to the Church bells ringing high in the old steeples. The villages perched on olive grove and vineyard covered hills have elegant and modern shops, their windows are adorned with beautiful modern clothes and goods surrounded by pretty Christmas decorations. We have walked around century old marketplaces with the aroma of roasting chestnuts filling the air as we look at art and craft that has survived through the centuries, we visit a tiny ancient water wheel and a flour mill still operated today in old stone buildings by 5th generation families. We stopped at a most renowned butchery, admiring the rows of hams hanging across the ceiling, the cheeses aging beautifully in a very old cellar and other delicious produce for sale. We have enjoyed wine tastings and lunches and hearing the stories and secrets of some of the most renowned wine producing dynasties as we toured their ancient cellars, full of the oldest and newest oak casks and some cellars with the latest and greatest technology. We have sampled the most fabulous extra Virginia Olive Oil and tasted real Balsamic Vinegar, so delicious it makes you gasp. ... "Villa Il Crocicchio" and we had stunning meals at a number of restaurants in the area but the most memorable and enjoyable meal stemmed from our cooking class with the absolutely brilliant "Pasquale" his wife Arianna and family. We had so much fun making pasta while Pasquale prepared everything else and invited us to eat the fantastic meal and drink excellent wine at his home, with his delightful and entertaining family. Thank you to Matteo for our booking and your excellent communication, Villa Il Crocicchio for our excellent apartment, Oscar for taking great care of us each day, and Pasquale and family for a very special evening. We have had a fabulous week and one we will remember for a very long time. Matteo was a wonderful guide and host on what was a highlight of our recent fortnight in Tuscany. 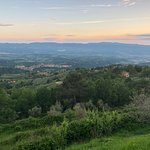 This full day outing to Bagni San Filippo was our third trip out into the Tuscan countryside from Florence - and provided the best rural scenery by far. 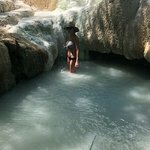 This seemed to me to be the most beautiful and least touristy part of Tuscany, and the day we were there, it was only locals enjoying the thermal baths. The water at the springs wasn't as hot as we expected - it was only really the pools at the top of the 'White Whale' formation (and a few of the rivulets coming off it) that were hot. But the surreal appearance of these opaque whitish pools in a lovely forest setting, the atmosphere and the uniqueness of the experience more than made up for this, and in summer, the cooler pools would be better anyway. We'd had enough after a couple of hours, and it was great to be able to shower and change in the adjacent hotel as part of our package - which felt like good value for the private and tailored nature of the tour. Matteo's flexibility and the time available allowed for the spontaneous addition of the nearby hill town of Cortona to our itinerary for a small extra charge to cover petrol. 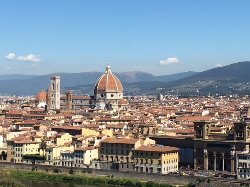 We loved our few hours there - it was enough time to look around, take some great photos, enjoy an aperitivo and then dinner in an authentic local trattoria before the drive back to Florence. 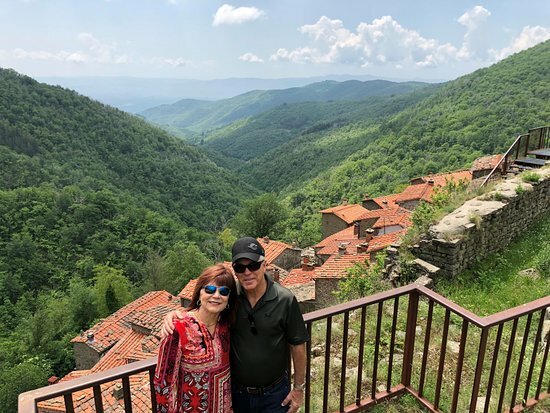 This was a wonderful and memorable way to finish our time in Tuscany, and I highly recommend Matteo and his professional services for these more out-of-the-way and special interest experiences. 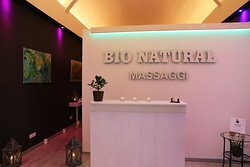 Thank you so much for this beautiful review! I am glad you both enjoyed it. We had a truly amazing week with Matteo who took us on a personal tour to special places in Tuscany where not all tourists venture. We enjoyed beautiful food and wines from the local area. The farmhouse accommodation was fantastic and everyone was friendly and helpful. This tour was all that we hoped for and more, Thanks Matteo for a wonderful Tuscany experience. 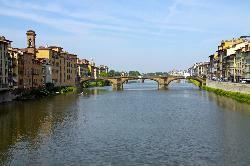 We highly recommend this tour to anyone wishing the Tuscany Untouched adventure! It was a big pleasure to have you both on tour. So much fun!! !